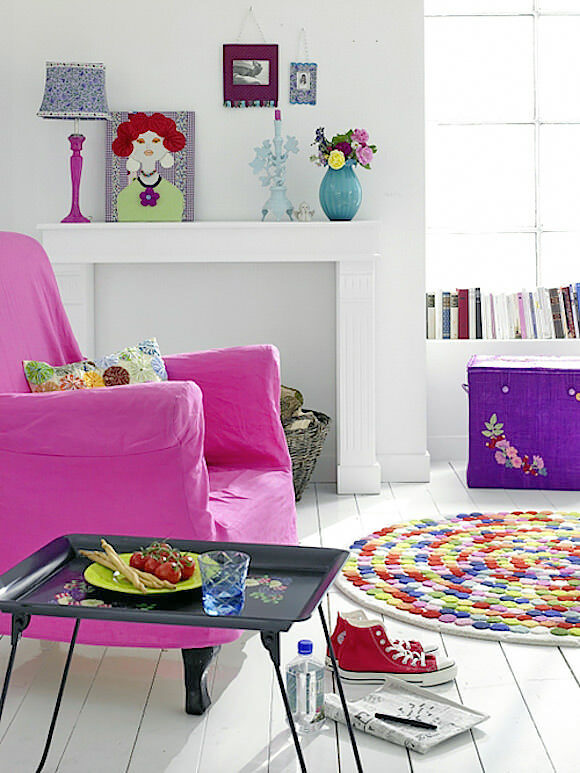 Decorating a room for your little one can be a challenge. The key to avoiding the “catalog look” room is to mix and match pieces from different eras to add plenty of character. Color also plays an important role in stimulating a child’s senses—they’ll have plenty of time to go minimalist or black and white when they’re all grown up—so use it profusely, but smartly! 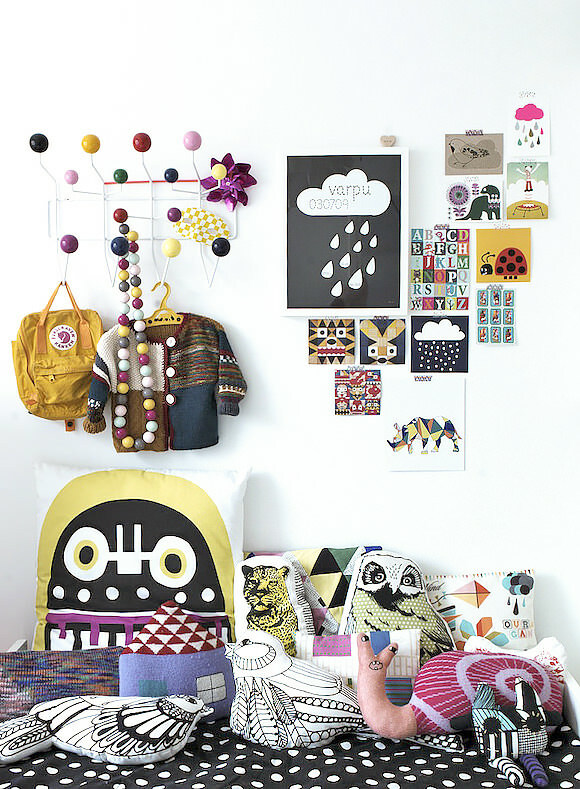 Heres a collection of fun & eclectic kids’ spaces with plenty of personality. But be warned, with cool rooms like these, sending your little ones to their room for time out may no longer be a punishment! 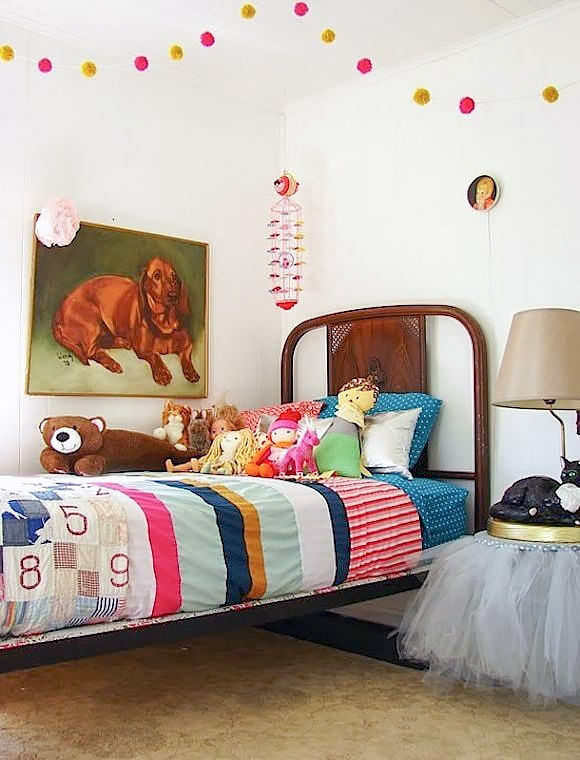 This lucky little girl’s room is filled with lovingly handmade fixtures and vintage finds: a tiny picture made by Mom in grad school, a ceramic cat lamp by Grandma… This room is proof that eclectic doesn’t have to mean cluttered. 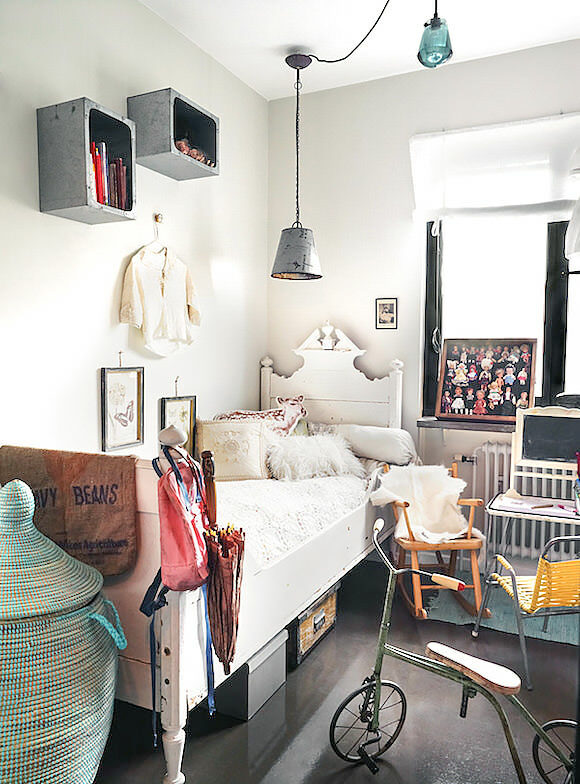 Interior designer Benedikte Ugland’s home is only 900 square feet, so one can imagine her kid’s room isn’t much larger than what we see here. Still she’s managed to use flea market finds and personal treasures to convert the space into a charming, cozy nook without overwhelming it. It’s always a treat to see what the pros do with their own spaces. So many times a professional interior designer takes a completely different approach to her own space than she would a client’s. Such is the case with stylist and interior designer Susanna Vento, who fills her home with vintage finds and DIY projects. Love! 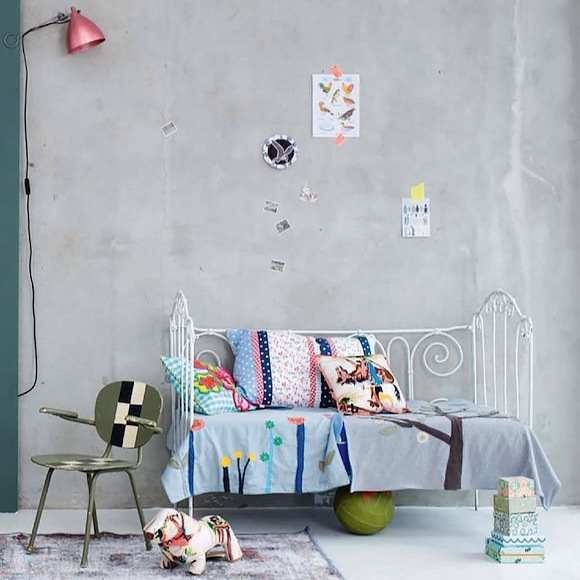 Clustered colorful wall art paired with the simplicity of duo-toned furniture and props makes for a surprisingly sophisticated, yet super fun room that can easily grow with the child. The great thing about what’s trending right now—stark white walls paired with brightly colored furniture and accessories—is that you don’t have to own your home to make it your own. 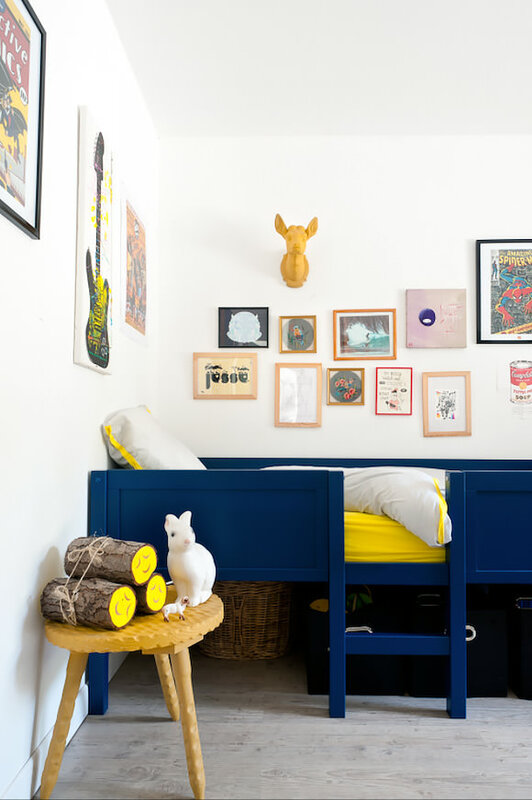 With this low-impact approach to the walls and floors, it’s easy to customize a rental and keep kids’ rooms personalized to their every changing moods as they grow up. 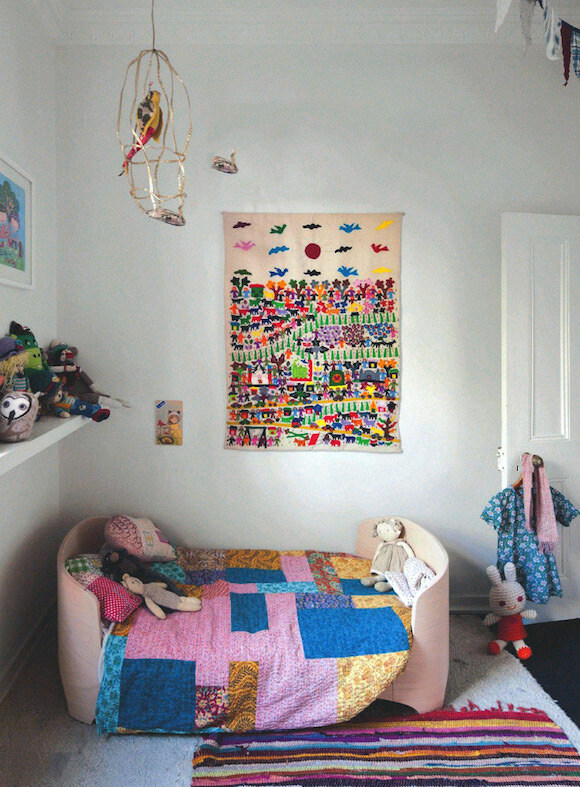 A hand­ful of col­or­ful & strate­gi­cally placed playthings brighten an oth­er­wise plain white room. Simple yet perfect! Pictured at the top of this post: a minimal space with lots of personality via Maria Grossman. Love them all especially that tutu on the bedside table! Love Love! all of them!! What you did with the bed is such a fantastic idea–is it at a top bunk sitting directly on the floor? It’s like a little nest.If you’d like to share any more of the room or your home, we’d love to do a feature!